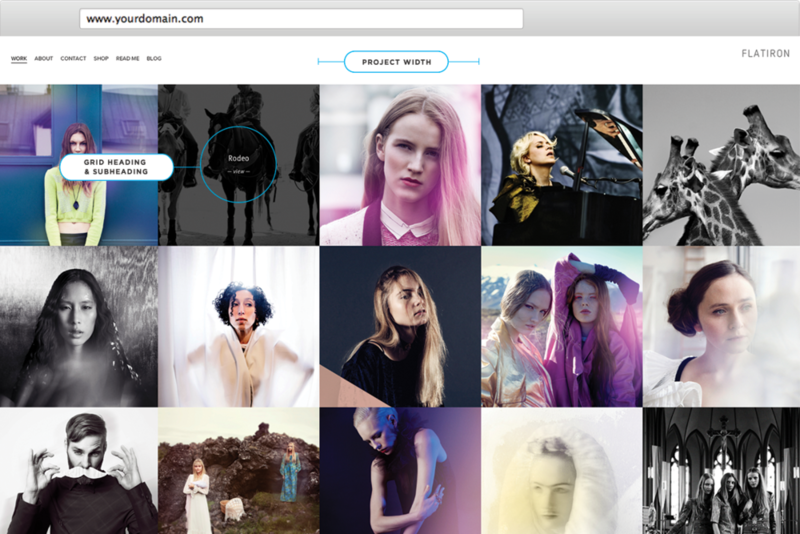 Flatiron is a portfolio template with a very unique layout. It's equally adept at showcasing design or photography projects. Its Index page accommodates multiple galleries, each with as many images as you want. 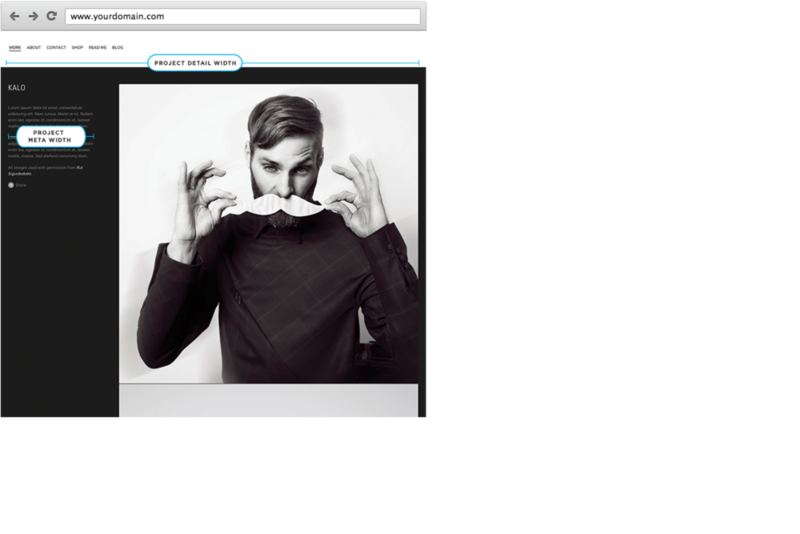 You can set the size of the gallery thumbnails with the Project Width setting under Size & Values in the Style Editor. Note that this is a maximum width, and not absolute, as it changes as with the browser window width. You can also set whether or not they're cropped to squares with the Project Squares setting under Options. In the project detail view, you can set the width of the page with Project Detail Width and the width of the description in the left sidebar with Project Meta Width, both under Sizes & Values. The Footer is hidden until you move your mouse over it by default. You can change this to show all the time with Autohide Footer under Options. You can move the site title/logo to the left of the Header with Site Title/Logo Position, under Options. The Header is set to stay at the top of the page as you scroll (Fixed). This can be changed to Normal with Header Position under Options.